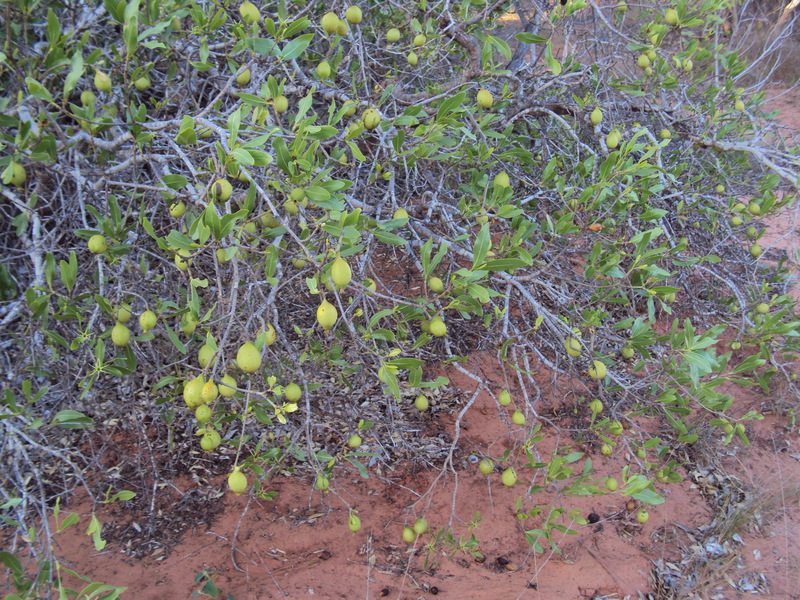 A widespread Kimberley species, extending deep into the Great Sandy Desert, this small tree or shrub has scented white flowers, and a fruit with grey flat seeds embedded in the pulp. 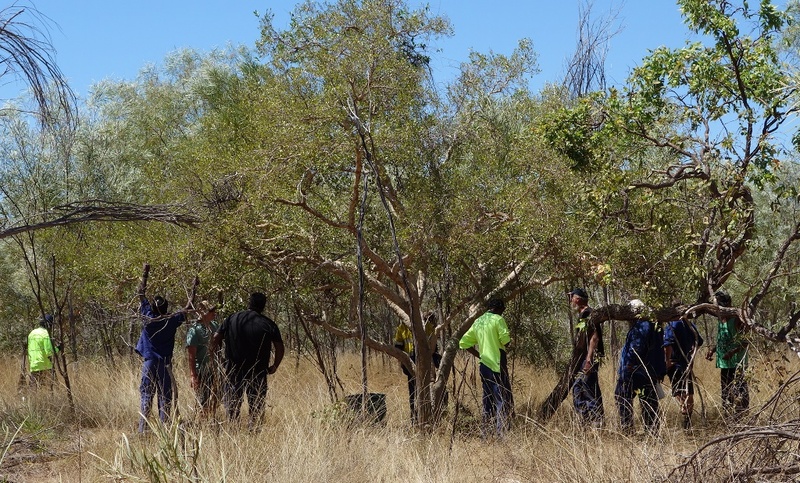 Sometimes called the Turpentine Tree, for the colour of the trunk. 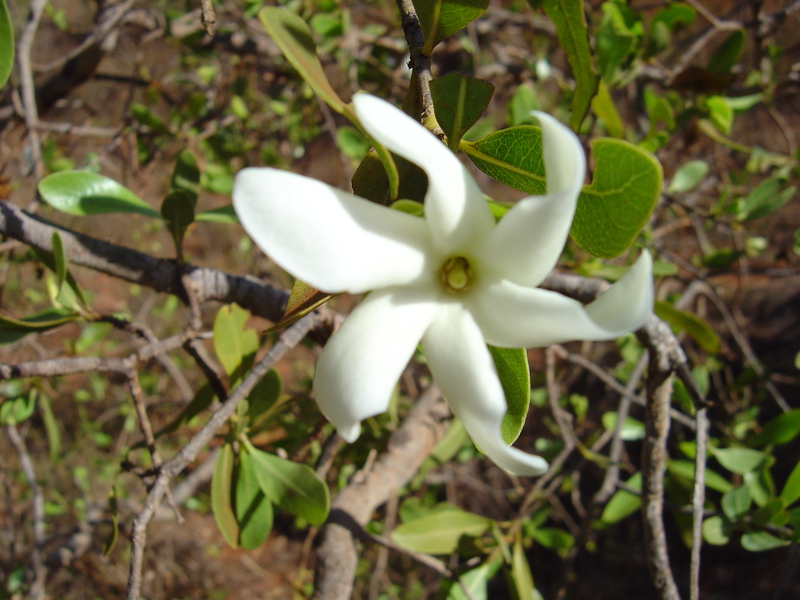 Wudarr is another small tree, with little white flowers that later become a hard ribbed fruit. 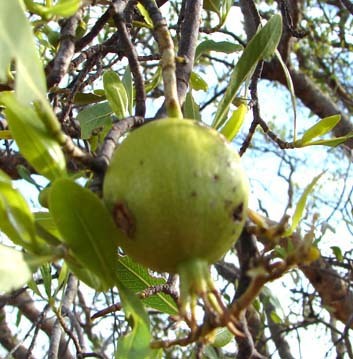 The large, divided sepals that remain at the end of the fruit are very distinctive. 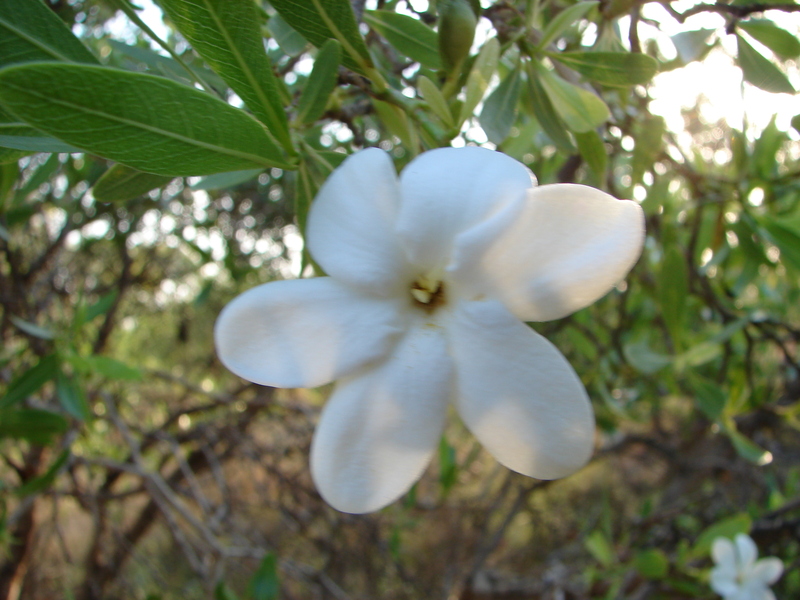 The mayi consists of many seeds embedded within a flesh that is covered by hard skin. When it turns yellow in June it can be picked or gathered from the ground. The flesh inside is squeezed out and eaten. 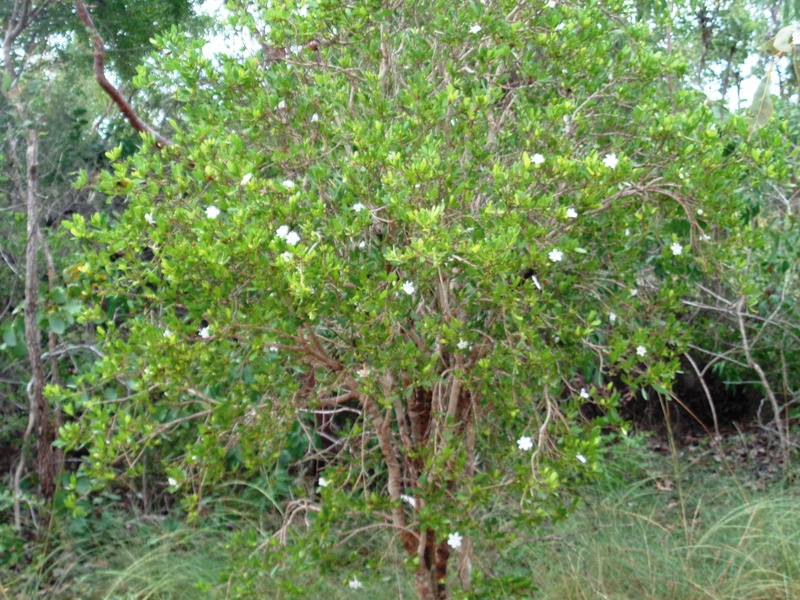 Bardi people, who are dependent on the sea for food, have a special use for this tree. They place green leaves on a rock and rub their feet on them. The effect is like that of a balm, giving some protection against cuts from the reef and stonefish stings. 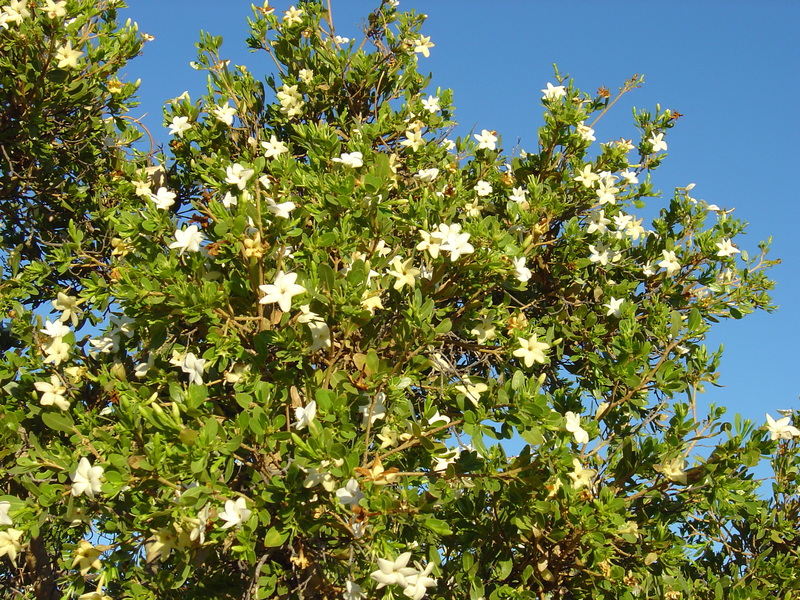 This entry was posted in Uncategorized and tagged Gardenia pyriformis. Bookmark the permalink.